Posted By Nathan On April 14th 2015. Under Blog Tags: career change resume resumes for career change, how to write a resume for a career change, resume career change, resume for career change . Career change it can be a very complex, and sometimes stressful process. If you’re looking at a career change and you are in the process of creating a new career change resume, you will need to do some research. You will also need to do some serious thinking about how you want to approach of managing your resume information. When writing a resume for career change, you are effectively dealing with a very broad spectrum of new information on your resume. You are also dealing with the fact that a lot of your previous resume is now basically obsolete. A lot of new material has to come in and a lot of old material has to be thrown out. The easy part of the exercise is the information that has to be thrown out or relegated to “ancient history”. 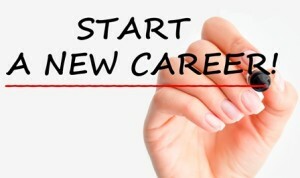 We’re going to help you to learn how to write a resume for a career change from scratch. A lot of the transferable skills on your resume will have to be redeveloped and “renovated” to match your new career demands. Your work history will also have to be redesigned to remove your relevant information. Strictly speaking, your previous life employment is not going to be well related to any new career moves. You can progressively reduce this to a bare minimum over time, as your employment history in your new career goals. Eventually, you will be able to remove all the old information. Performance indicators, achievements, and other high-value assets from your old resume will now clearly have to be redesigned to match your new career. There may or may not be some overlaps from your previous career which you can use, but ideally it’s best to provide directly relevant information in these areas. Resume formatting needs to be very practical. The job market uses functional resumes as the benchmark standard resume, and for a new resume, this is an ideal starting point. Functional resumes are very easy to work with, and when drafting for career change, you will find that these resumes as well as branding statement resume or new resume styles are very easy to edit and will help you manage your information very effectively. At the early stages of a career change, it’s not necessarily easy to write a comprehensive resume. If you’ve made a major career change, moving from one industry to another, you do need to be clear of space limitations and opportunities when writing your resume. In the course of a career change, you’re not actually at entry level, but it may seem like it. You will need to address a range of skills, experience and knowledge issues in your work and you will need to manage your information in accordance with your current level of expertise and experience. Best practice is to keep your information, focusing on strong positives and your best transferable skill sets. This is very easy to do using the functional resume format. Remember you don’t have to provide vast amounts of information on your resume. You do, however, need to provide good, competitive information. Make the distinction between high-value information and “so-so” information. The good news for people undergoing career change is that information requirements are actually pretty simple. All the information that is required is pretty much spelt out on the job advertisement and the job description. Information you receive from an employer is a very good snapshot of the information that they need to see on your resume. Please also note that it’s also a good guide to information they don’t need. 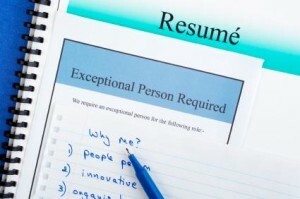 When writing a new resume, best practice is to target employer requirements, not to write a sort of generic resume. As a matter of fact, the One Size Fits All Resume really isn’t a very good approach to writing a resume. For a career change resume, in particular, it’s best to target the information required by the employer, rather than attempt to write a generic resume which may or may not have the information required by the employer. Go through employer requirements in detail. Match your skills and other information to each specific employer requirements, one at a time. Cross check your resume information against specific employer requirements and your ability to provide performance indicators, figures, and other competitive information. This may seem a little demanding at first. However, it’s also practical and thorough. As you can see, it is also the simplest and most straightforward way of making sure that your application is as close as possible to employer requirements. This is the best practice approach to both managing information requirements and providing a targeted, properly customized resume for your job applications. During the drafting process, you will find that your Skills section is the one requiring the most regular tweaking and editing to match job requirements. If you’re in the early stages of your career change, you will note that you have only so many options for your skills section. As your career change progresses, you will notice that skills and relative degrees of skills required by employers also evolve. That the early stages of your career change, the most important point is to emphasise your strongest skills. These will be the areas where each motivated you to make your career change, the parts of the job that you really enjoy. These will also be the areas and skills in which you can show your performance credentials to prospective employers. 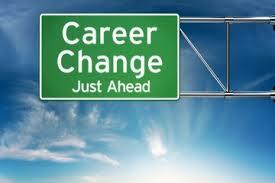 Take the time to seriously consider your career change skills and other assets for your resume. You will we surprised to note that your career change and the reasons for your career change have delivered you some excellent options for entry into your resume. Be patient when writing your career change resume. You’ll find that you will write a very respectable new resume!